Image: Cindy Ord/Getty Images for Showtime. Congrats are in order, because Rosie O’Donnell just became a grandma! On Wednesday, O’Donnell shared a photo of her 21-year-old daughter, Chelsea O’Donnell, along with Chelsea’s boyfriend Jacob Bourassa and their newborn baby girl, Skylar Rose — O’Donnell’s very first grandchild. Rosie lived up to her title of proud grandma, also posting a photo of Skylar Rose sleeping and another one of her cradling the baby in her arms. The birth marks a new chapter in what has been a complicated saga between Rosie and Chelsea. 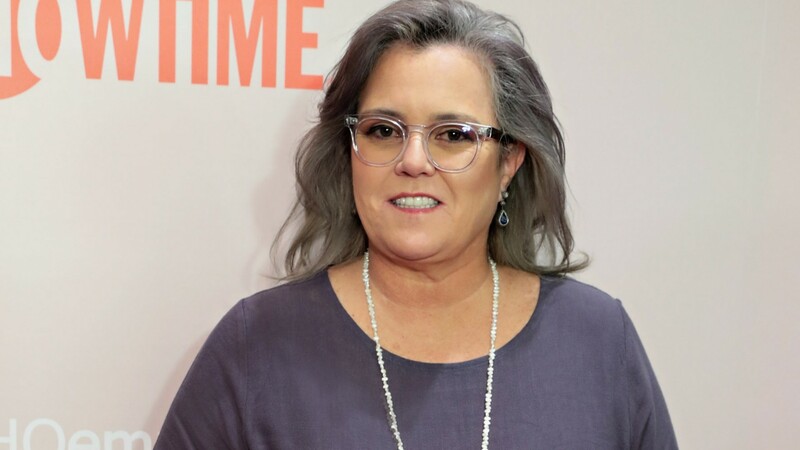 In August 2015, Rosie briefly reported Chelsea missing before Chelsea came forward to allege Rosie had kicked her out of the family’s New York home. “Rosie said that I was almost 18, and she got all this crap from work, and she didn’t want to have to deal with that at home, too. She asked me to talk about what was going on and I didn’t want to. So she asked for my phone and my computer. This was hours before she told me to leave,” Chelsea alleged, per the Daily Mail. Chelsea reportedly moved to Wisconsin at that point to live with her birth mother, Deanna Micoley. Later that year, Chelsea and Alliegro split. It’s unclear what became of Chelsea’s pregnancy other than it did not result in a child. Life has dramatically improved for the family over the past two years, though. Happily, Chelsea now has a child with Bourassa, and she and her mother finally made up, so her previous prediction that her child wouldn’t know Rosie never came to fruition. But Rosie will have to share baby Skylar Rose’s affection — Chelsea has remained close with Rosie’s former wife Kelli Carpenter, with whom Rosie adopted Chelsea.